It's not called the "everyday" pan for nothing. Keep it out on the stovetop because this everyday pan is good for nearly everything. 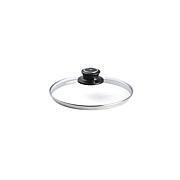 Sear fillets, simmer soup, fry chicken, stir-fry vegetables or cook pancakes, and you can bake, too. 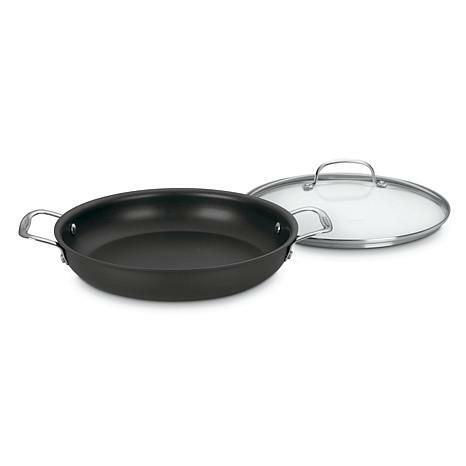 Great size, cooks evenly and cleanup is awesome. Always on my stove. Use it every day. Love how evenly it cooks and the clean up is great. Use it for most of my meals. Just the right size for the kinds of meals I make. Deep enough to make my casserole meals. 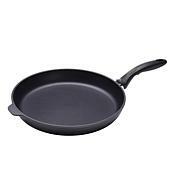 I bought this pan for my son and daughter-in-law for a Christmas gift. She had asked for a new pan. 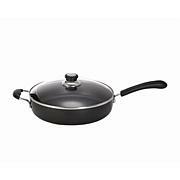 So I started shopping, after some searching and checking reviews, I settled on this pan for them. This was one of the best decisions that I made. 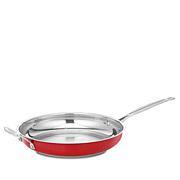 They absolutely love the pan, they use it frequently, and have had no problems with it. Great size and weight. Purchased to bake pineapple upside down cake in and it is perfect.